Rev. Millard W. Mead was a man who lived to serve others. His positive attitude towards life and strong sense of perseverance, despite long-term health issues and many challenges, allowed him to continue serving his God and helping others. On January 31, 2019 he earned the ultimate reward and was called home to be with his Lord and Savior, Jesus Christ. He was born May 27, 1930 on his family’s farm in Cherry Valley, Ohio, the son of the late Myrlen and Winnifred (Mills) Mead. Millard was a 1948 graduate of New Lyme High School and that summer, on August 7, married his high school sweetheart, Janet Hummell. They shared 46 years raising a family and serving others until her death in 1994. He married Marilyn (Kiess) Linn in 1995. Marilyn survives and they’ve enjoyed many travels and created memories in their 23-year marriage. Millard operated the family farm and raised Holstein dairy cattle until 1962 when he surrendered to God’s call to the ministry. He grew up in the Cherry Valley UMC where he had served as a lay minister, readying him for his new profession. Millard received his B.S. in Education from Kent State University in 1970 and his Master of Divinity from the Methodist School of Theology in 1973. He ministered to the congregations of Johnston Federated UMC in Cortland, Grace UMC in Bucyrus, and St. Mark UMC in Galion before retiring in 1992 and joining Scioto UMC. Rev. Mead was honored as Pastor Emeritus at both Grace and Scioto UMC. Millard enjoyed conducting weddings and remained active in couples’ lives in hopes of successful marriages. He was also thankful that God gave him words to help those in grief. Millard was active in many Methodist committees and organizations over the years and was particularly proud of his time spent on Methodist history and archive activities as well as being a founding member and trustee of the Northshore Retirement Home in Lakeside, Ohio. He was a longtime member of the Cortland Masonic Lodge No.529; Warren Council RSM; and the Jerusalem RAM. He had the privilege of traveling all over the world and was humbled by his visits to the Holy Land. He and Janet enjoyed going to Oberammergau, Germany where they witnessed the once a decade Passion Play. He and Marilyn enjoyed many RV trips to Winter Haven, Florida and when unable to travel there, Millard enjoyed parking the RV at Foxfire Campground to just take in what God had to offer. 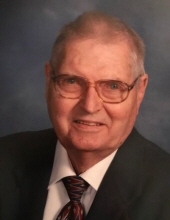 In addition to his involvement in church life, Millard was an avid recycler of old appliances, enjoyed reading books by Zane Gray, and loved relaxing in front of the TV to a good western. In addition to his wife, Marilyn, Millard is survived by three children, Jacqueline Doyle of Andover, Ohio, David (Robin) Mead of The Villages, Florida, and Susan Mead of Montrose, Colorado; three stepchildren and their families, Victoria Shawk, Dan (Teea) Linn, and Diana (Tim) Shroll; four grandchildren, Joshua Mead, Rebecca (Daniel) Castle, Richard Dyer, and Elizabeth Dyer; two great grandchildren, Tabitha and James Castle; two brothers, Maynard (Marvel) Mead and Leonard (Florence) Mead; one sister, Myrna (Richard) Walish; and two sisters-in-law, Leah Mead and Beverly Mead. In addition to Janet, Millard was preceded in death by two stillborn sons; two brothers, Merlin Mead and Maurice Mead; one son-in-law, Hubert Doyle; and a stepson-in-law, Dale Shawk. The funeral service will be held on Sunday, February 3 at 4:00 pm at Scioto UMC with Pastor Dennis DeLong officiating. Friends may call at the church prior to the funeral from 3-3:55 pm. A brief service will also be held on Wednesday, February 6 at 11:00 am at the Cherry Valley UMC, OH-193 & US-6, Cherry Valley Twp., Ohio, before Millard is laid to rest in Cherry Valley Cemetery. Donations can be made payable to Scioto UMC and will be accepted through Wise Funeral Service, 129 W Warren St, Bucyrus, Ohio 44820 or at either service location. Memories and photos are encouraged to be shared on his Tribute Wall. To send flowers or a remembrance gift to the family of Millard W. Mead, please visit our Tribute Store. "Email Address" would like to share the life celebration of Millard W. Mead. Click on the "link" to go to share a favorite memory or leave a condolence message for the family.